What is the safest water to drink? I do not want to take any more poison into my body. I was told that dentists knew what they were doing, that putting mercury in my mouth was completely safe, that the people in charge were watching out for us, of course we’d never get poisoned. But that was all a big bucket of lies. 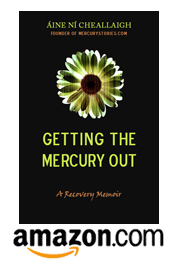 Like many mercury sufferers, I have learned to watch out for myself when it comes to protecting my health. And one of the big issues I’ve spent a lot of time thinking about is water. Water. You’ve got to drink it. It has to come from somewhere. But where? And how do you know you can trust the source? How clean is tap water? What are the health impacts of additives like chlorine and fluoride? Millions of wary consumers have steered away from tap water and turned to bottled water instead. I did it for a couple of years when there were doubts about the quality of the well water where I lived. Bottled water is obviously purer, cleaner, healthier than tap water? Right? The other night I watched an eye-opening documentary that made me never want to drink another bottle of Poland Spring. Tapped explored the environmental impact of the bottled water industry. Are the citizens of Maine really okay with Nestle trucking all their water out of state? And where do all those plastic bottles end up anyway? And then the film asked some very interesting questions. What kind of mandatory testing does bottled water have to go through? (It amounted to no testing at all) And if you test some ordinary bottled water yourself, what will you find in there? The filmmakers did this and found that it was full of some very, very scary chemicals that any health-conscious person would never want to put in their body. The big scary bad guy was BPA, which acts as an estrogen in the body, causing all kinds of havoc. BPA is even present in canned foods, as it’s used to line aluminum cans. After learning all this, I’m going to stick to my Brita water filter–I checked, it’s BPA free–and fill a stainless steel water bottle when I’m on the go. I’m not saying tap water is perfect, but it seems like it’s a much safer option than the alternative. I did a paper on this in grad school and came to the same conclusion. Bottled water is basically a scam if you ask me. And a very lucrative scam. Most brands don’t even pretend to be ‘spring water.’ These companies are just pouring filtered tap water into bottles and selling them by the million. Filtered tap water? Wait a minute…I can get that at home for nuthin! But I think the most disturbing thing was learning that there is BPA in the lining of canned foods. Seriously? Another hidden toxin to watch out for? Aw, man…!